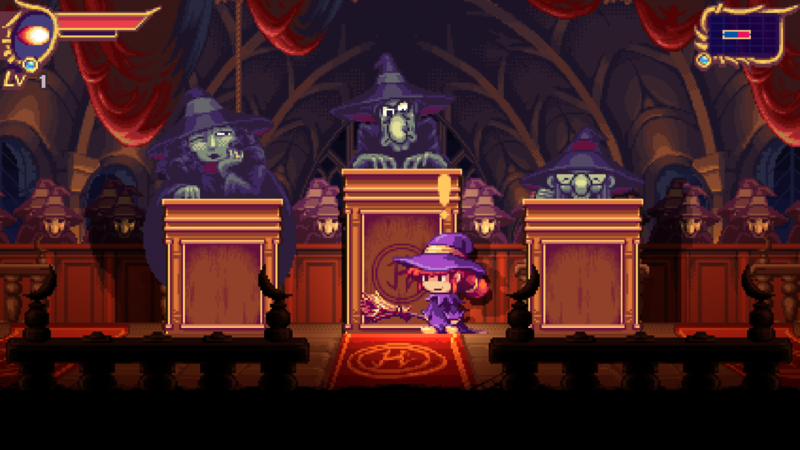 Mystic Belle is an action adventure game that takes place in Hagmore School of Witchcraft. 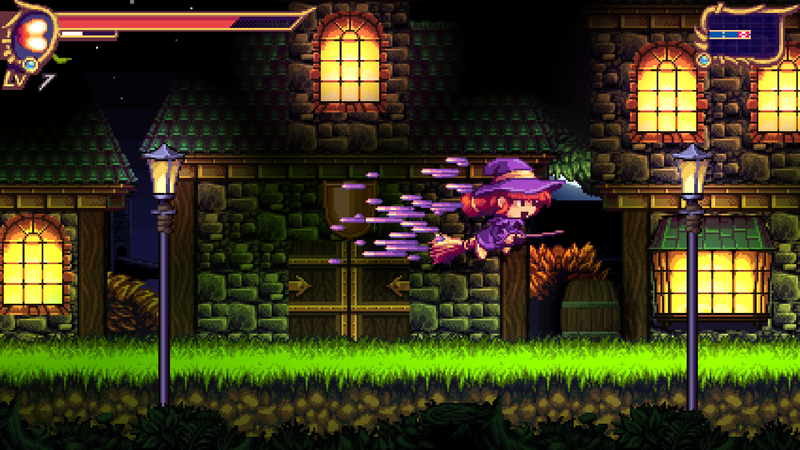 You play as Belle MacFae, a student wrongly accused of messing up the Walpurgisnacht Brew. Now the head witches have put you in charge of finding the three main ingredients needed to make the brew again. Now you must go looking through all of Hagmore, from its classrooms, libraries, and dungeons to the surrounding village and woods outside. In classic Metroidvania style, you will consistently find yourself coming to momentary dead ends. A place that you can’t quite get to yet because you lack a particular ability such as a dash or double jump. Ode to Castlevania — Many fans of this genre agree that Castlevania: Symphony of the Night (SOTN) is one of the best games of the series. 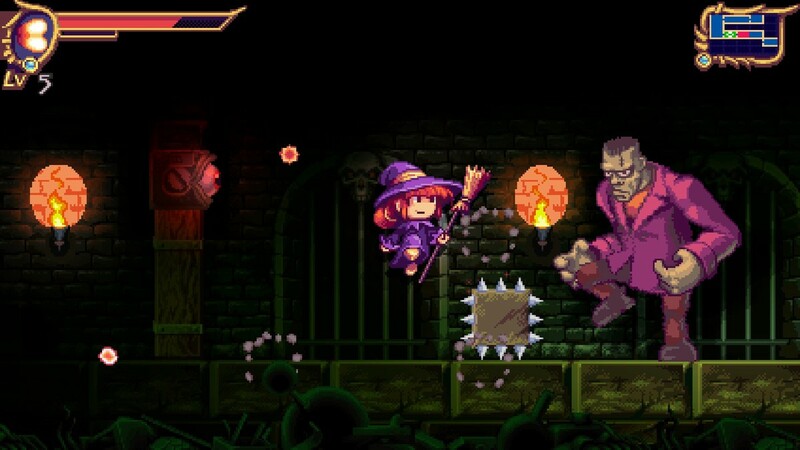 Within minutes of taking control of Belle, you can’t help but feel like you are playing a cuter version of SOTN. It immediately hits all the right cords, by the third room you have done all the basics: dodge, attack and platforming. They all feel good. Developer Last Dimension knew precisely how to pull inspiration from a great game and genre and make it their own. I mean the developers took it so far as to mention that they have blue rooms on their maps, just like another colossal hit I know. Controls — An essential aspect of all games is how it controls. Whether the game has a simple control scheme or a complicated one, it has to work right and feel good. These precise controls are needed when you are jumping from platform to platform while attacking and dodging enemies the whole way. Fortunately, the controls here are spot on, no delayed reactions when you turn or attack. Even the jump, which I’ll be honest, is a bit more floaty than I usually like, feels right. The controls being right is also important as you cannot change your control scheme. No worries though, the mapping of the buttons felt natural and caused no issues for me. Level design — When designing a Metroidvania map, you must remember two fundamental concepts: blind exploration and constant backtracking. Mystik Belle handles this like a pro, continuously giving you plenty of paths to explore but only a few places accessible at a time. Picking a witch school, which is nothing more than a castle, is the perfect setting. Being set in a world of witchcraft means there are other mystical creatures and people who will both help and hinder you along the way. I even found myself busting out my phone to take notes about what I’ve seen, where I saw it and why I need to remember it. Another smart feature they have included is portal rooms, which once found allow you to jump into a mirror and instantly teleport to any other portal mirror. These are huge time savers and a must in any game that requires you to backtrack over and over again. Difficulty — There are two difficulty settings to choose from when you start: normal and hard. After playing through normal and not once dying, I thought huh, this must be kid mode. 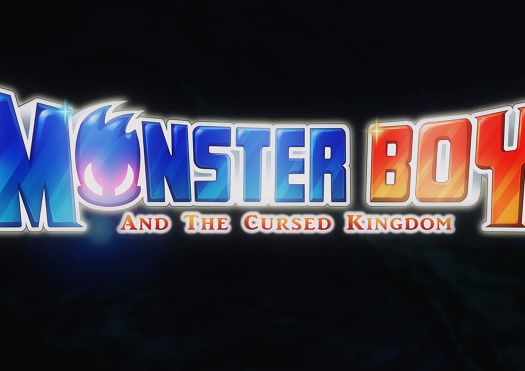 I mean, it does look like something someone might play on the 3DS. Sadly though, after firing up hard mode, I did not find the difficulty any harder. Instead what I noticed is that all portal chests, which allowed you to store an item in one and then access it from any other chest on the map, had been removed. This only lead to unnecessary clutter and lots of extra travel between the portal rooms. The other noticeable change was what happens when you die. 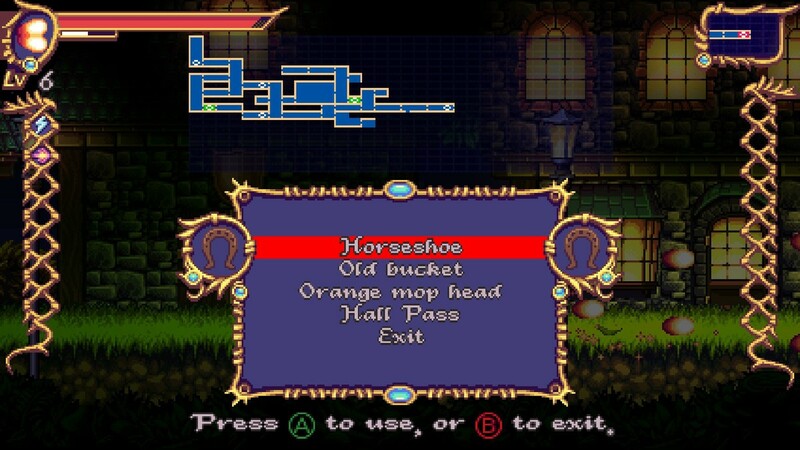 In normal mode, when you die, you can choose one of two options: continue, which starts you back at the beginning of the last room you entered, or return to the council, which is the very first room you entered. When playing on hard mode, this option is gone, if you die, you will just go back to the beginning. Yes, this is annoying, especially if you aren’t sure exactly where you were. But making something annoying or frustrating doesn’t quite qualify as hard in my book. Too short — As a dad who works a full-time day job that doesn’t pay me to play video games, I appreciate a quick game. Picking something up and being able to play through it from start to finish in one sitting is fantastic to me. Although, sometimes I find myself wishing a game wouldn’t come to an end yet. Mystik Belle, managed to hit that nerve for me. As I realized I was nearing the end I found myself purposely exploring every nook and cranny, even ones I knew would result in nothing, just to buy a little more time will Belle. Quest log — When you are looking for something, I don’t care what it is, there should be a way to refresh your memory what it is you’re doing. There is nothing here, not a hint a marker or even a transcript of my last conversation. Just me and my crappy short-term memory, that was the hardest part. Trying to keep my mind focused all the way through each part of a quest, for me, is a challenge. I am easily distracted by… oh look a shiny thing… see what I mean. When this happens, I need a checklist of some sort to reference. There were multiple times that I had to go through every room and talk to everyone all over again just to remember what I was doing. Mystik Belle may not be very long or have a hidden, mirrored, upside down castle but that doesn’t mean it has failed in any way. Of course, I wish it was longer; I feel that way about most games I like. I can’t help but want more of a good thing, and that is definitely what this is, a good thing. Sure, it could have been harder or had more rooms to explore or even a more in-depth story, but it doesn’t need all that. The folks at Last Dimension did something that is harder than I think most people realize. 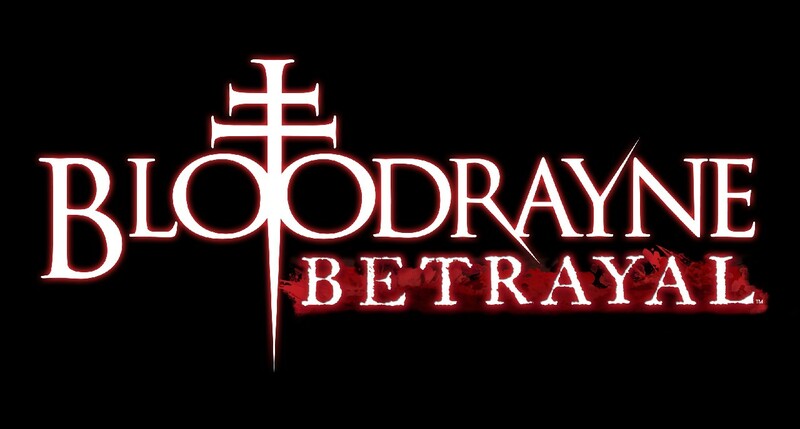 They delivered a concise, tightly wrapped package that had almost everything you could want from a Metroidvania-like game. I don’t think I can ask for much more than that. provided by for review purposes.